The Pumphouse Theatre has two theatres available for rent, the Joyce Doolittle Theatre (up to 65 seats) and the Victor Mitchell Theatre (up to 315). 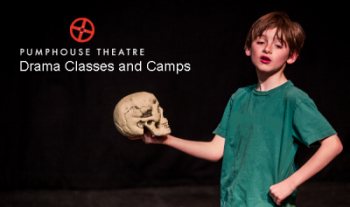 These two theatres are rented out year-round primarily for theatre productions, Pumphouse Drama Classes and Camps, meetings, corporate functions, and more. Due to high demand for the space, availability is limited. Please note that The Pumphouse Theatre does not accept rentals for weddings. You can take a virtual tour of the Pumphouse Theatre by clicking here. Rental inquiry requests are best sent via email to operations@pumphousetheatre.ca . When making a rental inquiry please provide the following information so we can better assess availability for you; dates of the event, type of event and which of our two theatres you are requesting for your event. This information will assist us in getting back to you faster. If you have any questions we can also be reached at 403.263.0079 Ext. 101. The Calgary Foundation Centennial Stage is a reusable, portable stage provided at a low cost to Calgary’s cultural community and made possible through the generosity of the Calgary Foundation. The Centennial Stage is available for use by community and professional arts groups that currently work with the Pumphouse Theatre as well as ethno-cultural and community organizations in greater Calgary. To view the Loan Request Form click here. Once the request form has been completed and submitted to the technical director you will be contacted about availability. 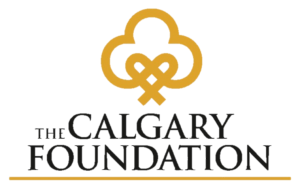 For more information about borrowing the Calgary Foundation Centennial Stage, please contact the Productions and Operations Manager at 403.263.0079 Ext. 101. Calgary Foundation Projector Rentals: Available to cultural groups at a subsidized rental fee, please contact operations@pumphousetheatre.ca for more information.